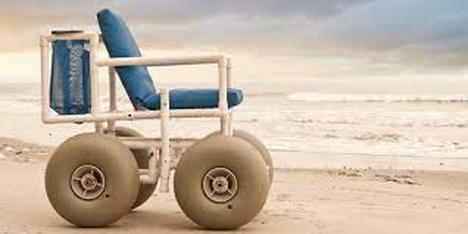 Beach wheelchairs are available at the WCBP headquarters located at Rambler Road and the beach. Wheelchair rentals begin at 10:00 a.m. and must be returned by 5:00 p.m. There is no charge for renting a wheelchair. All you need with you is a driver's license/identification card to leave at our medical station until you return. Beach wheelchairs cannot be reserved ahead of time. Wheelchairs are given out on a "first come, first serve" basis. Wheelchairs must stay on Rambler Road and cannot be delivered to any other street. If you are unable to make it Rambler Road, see information about our ﻿handicap transport﻿.